Villa Son Font is an idyllic escape for those longing to slow down, disconnect, and embrace the luxury of experiencing more with less. Silence – a lost luxury of the modern world yet one of the most abundant amenities at Villa Son Font. The minimalist designed 6-bedroom private villa is hemmed amidst the olive and almond trees in the foothills of Majorca’s Tramuntana mountain range, boasting beautiful views that extend to the Mediterranean Sea. Here, the luxury of less is part of the allure. The physical property is a modern take on a traditional 18th century finca. Traditional thick lime plaster walls and weathered wood ceiling beams, combined with Moorish architectural curves and Mallorca’s quintessential green shutters evoke the earlier eras of the island’s inhabitants. Faded linens, colorful textiles and one-of-a-kind decor items infuse each room with the Balearic’s warm coastal atmosphere and laidback ambiance. The construction was a labor of love for Danish owners Mikkel and Bente Tang, whose Nordic influence is palpable throughout the villa’s decor. They intended to renovate the property as a summer home for their family. Though it had been neglected by its previous owner and was in need of considerable repair, they instinctually knew that the villa was special and understood its potential. With no formal background in development or design, only the help of a small team, they commenced the renovation passionately by hand, discovering the process – and rediscovering themselves along the way. The finished villa has a total of 6 bedrooms – four in the main house (including one master floor suite with a private bathroom and balcony), and two additional rooms just below the terrace with private bathrooms and a shared kitchenette. A swimming pool placed in perfect distance from the living space provides optimal seclusion for a peaceful afternoon dip. 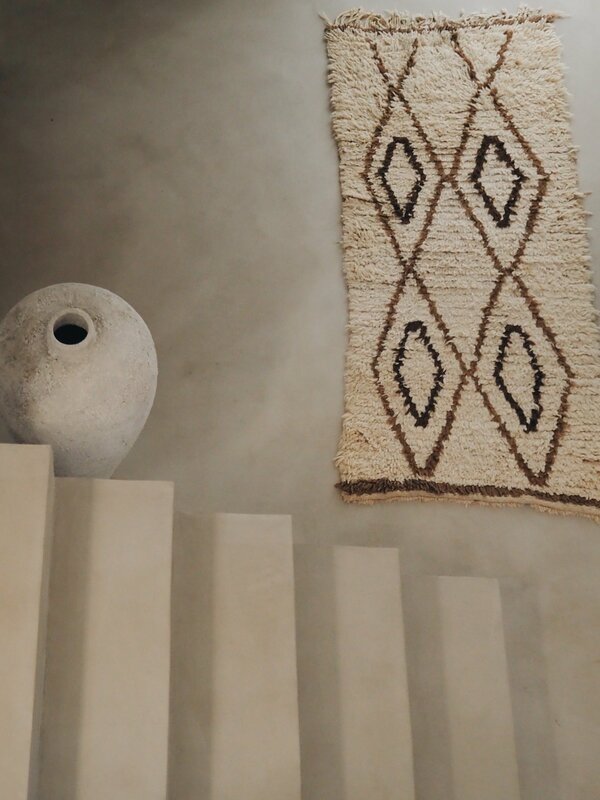 Natural elements fuse the exterior and interior in harmony. Sunlight pours through the open floor plan. The crisp Balearic air floats through the open windows, carrying notes of woodsy florals, orange blossoms and sea salt. Time here feels irrelevant – the only sign of transience is the whisper of the wind passing through the forest canopy. Perhaps it’s Mikkel and Bente’s affection for the property that attracts a certain type of traveler to their second home. Villa Son Font is the idyllic escape for those longing to slow down, disconnect, and embrace the luxury of experiencing more with less. And in today’s busy world, simplicity can be a beautiful refuge. "In today’s busy world, simplicity can be a beautiful refuge."